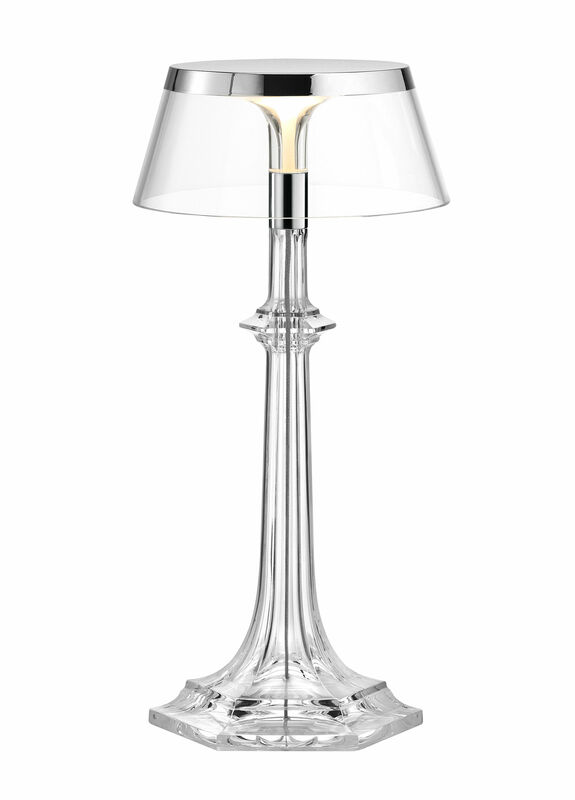 "Heir to the "Bon Jour" lamp by Philippe Starck and "Versailles" chandelier created by Baccarat crystalware, this lamp is invested with timeless lines, ineffable lightness and empirical modernity. Bon Jour Versailles calls on our collective memory of yesterday, today and tomorrow. 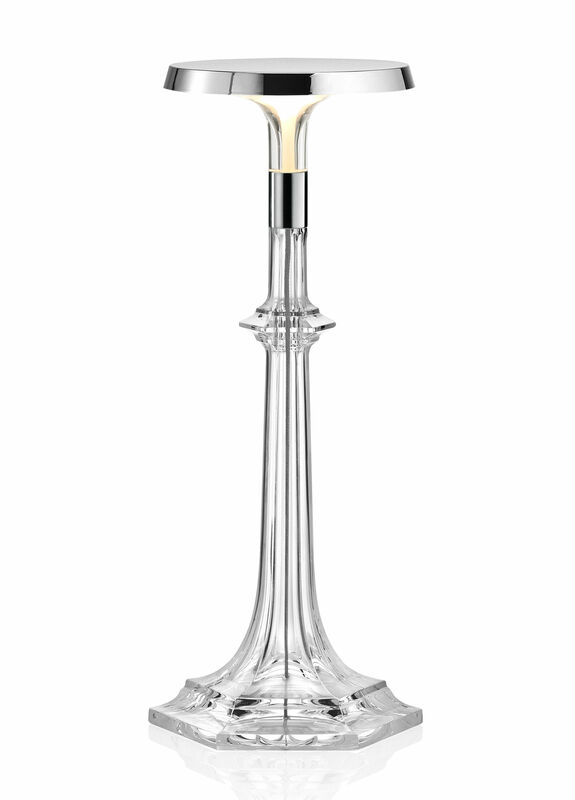 The base of the lamp is made of finely chiselled PMMA. The baroque, carefully crafted shapes evoke the most iconic pieces from Maison Baccarat. The classic style of the base is totally modernised by the plastic material and total transparency. The base is surmounted by a modern, refined lampshade, also made of transparent PMMA. The totally transparent, ethereal silhouette of the lamp is rounded off by an ultra-chic metallic touch that caps the lampshade like a precious jewel. Thanks to the revolutionary “Edge Lighting” technology, the ultra-flat LED light source is almost invisible. This ultra-thin light disc is placed under the hood of the lampshade. It fully utilises the capabilities of the LED with minimal thickness and guarantees perfectly uniform light, high visual comfort, optimum performance and efficiency. The elegant white fabric cable built into the base, passes through the lamp from one side to the other. The unique minimal design of the dimmer on the cable allows full control of the light intensity with a single click."